Aerial View of Sam Houston Normal Institute, circa 1920s. Courtesy of the Newton Gresham Library Archives. Image available on the Internet and included in accordance with Title 17 U.S.C. Section 107. The Mayborn Museum Complex entrance in Waco, Texas. The Mayborn Museum Complex contains the complete Strecker Museum and collection, The Governor Bill and Vara Daniel Historic Village, and a Children's museum. Courtesy of Baylor University. Image available on the Internet and included in accordance with Title 17 U.S.C. Section 107. Fair Park lit up by searchlights for the Texas Centennial Exposition, 1936. Courtesy of the Dallas Historical Society and the Portal to Texas History. Image available on the Internet and included in accordance with Title 17 U.S.C. Section 107. The San Jacinto Museum entrance at the base of the monument. The history of Texas is depicted around the outside walls of the museum. Image courtesy of the City of Deer Park. Image available on the Internet and included in accordance with Title 17 U.S.C. Section 107. Photograph, Picture of the Battleship Texas in its final resting place in Harris County. Courtesy of Texas Parks and Wildlife. Image available on the Internet and included in accordance with Title 17 U.S.C. Section 107. MUSEUMS. Museums are a relatively recent development in Texas. Perhaps the first museum was nothing more than the exhibition in a local hotel room of an itinerant limner's portrait samples, such as Thomas Jefferson Wright presented in Houston in 1837. But in 1879 Sam Houston Normal Institute established a museum to preserve materials relating to Sam Houston, hero of the Texas Revolution, president of the Republic of Texas and senator and governor of the state, and in 1881 Albert Friedrich began the collection of horns that became the Buckhorn Hall of Horns in San Antonio (see BUCKHORN SALOON). By the turn of the century the Museum of Human Anatomy at the Medical Branch of the University of Texas (1890), the Strecker Museum at Baylor University in Waco (1893), and the teaching museum at Our Lady of the Lake College in San Antonio (1896) were in operation, and art associations throughout the state had given birth to fledgling art galleries in Houston, Dallas, San Antonio, Fort Worth, and several other cities. A few museums, such as the Texas Confederate Museum (1904), were established during the early twentieth century to honor the state's heroes and war dead, and the Witte Museum in San Antonio dates from 1926. But the 1936 Texas Centennial celebration of Texas independence was the major impetus to museum-building in the state. There were nine Centennial museums built—El Paso Centennial Museum; Panhandle Plains Historical Society Museum in Canyon; Texas Memorial Museum in Austin; Sam Houston Memorial Museum in Huntsville; Corpus Christi Memorial Museum; West Texas Museum in Lubbock; Museum of the Big Bend in Alpine; Alamo Museum in San Antonio; and the Gonzales Memorial Museum and Amphitheatre. Several museums were constructed in Fair Park in Dallas, which was the official headquarters for the Centennial celebration—The Dallas Museum of Art, Hall of State, Museum of Natural History, Aquarium, Garden Center, and Science Place . The San Jacinto Monument built for the Texas Centennial has a museum at the base (see SAN JACINTO MONUMENT AND MUSEUM). Another Centennial building housed the Pioneers and Ranger Hall in San Antonio. The national bicentennial in 1976 inspired even more effort, as local historical societies throughout Texas established museums in old jails, courthouses, railroad depots, and other historic buildings, and museums already in existence added to their space and installed new exhibitions. Museums have been established in the remains of Spanish missions and old forts and in the homes of such famous men and women as writer O. Henry (William Sydney Porter), sculptor Elisabet Ney, and presidents Dwight D. Eisenhower and Lyndon B. Johnson. Exhibitions have been set up at the sites of battlegrounds and Indian settlements and on board the battleship Texas. Marion Koogler McNay Art Museum in San Antonio. Courtesy of the McNay Art Museum. Image available on the Internet and included in accordance with Title 17 U.S.C. Section 107. Amon Carter Museum of American Art. Courtesy of the Amon Carter Museum of American Art. Image available on the Internet and included in accordance with Title 17 U.S.C. Section 107. Photograph, Bayou Bend house in Houston, Texas. Courtesy of the Texas Historical Commission and the the Portal to Texas History. Image available on the Internet and included in accordance with Title 17 U.S.C. Section 107. The Winter Garden at the Menil Collection. Courtesy of Hickey & Robertson and the Renzo Piano Building Workshop. Image available on the Internet and included in accordance with Title 17 U.S.C. Section 107. Painting, The Challenge by Frank Reaugh, pastel on masonite, 1936. Courtesy of Frank Reaugh and the Harry Ransom Center. Image available on the Internet and included in accordance with Title 17 U.S.C. Section 107. Painting, Fight for the Waterhole by Frederic Remington, oil on canvas, 1903. Courtesy of the Museum of Fine Arts, Houston. Image available on the Internet and included in accordance with Title 17 U.S.C. Section 107. Picasso's bronze Bathers in a 1961 exhibition at the Museum of Fine Arts, Houston. Courtesy of the Houston Chronicle. Image available on the Internet and included in accordance with Title 17 U.S.C. Section 107. Long famous for its philanthropists, Texas is fortunate that a number of them chose to establish museums. Perhaps the Kimbell Art Museum and the Amon Carter Museum in Fort Worth are the most obvious examples, but the Marion Koogler McNay Art Museum in San Antonio, the Stark Museum of Art in Orange, Bayou Bend and the Menil Collection in Houston, and the Sid Sid Richardson Collection of Western Art in Fort Worth also owe their existence to the inspiration of a single collector or family. The McNay Art Museum opened to the public in 1954, housed in Jessie Marion Koogler McNay's Mexican-Mediterranean style mansion. The Amon Carter Museum followed in 1961, presenting the unexcelled collection of paintings and sculpture by Frederic Remington and Charles M. Russell that Amon G. Carter, Sr., had accumulated in a building designed by New York architect Philip Johnson. In 1966 the Houston Museum of Fine Arts opened Bayou Bend, the mansion that John F. Staub had designed for Miss Ima Hogg and her brothers, with their encyclopedic collection of American furniture, paintings, silver, and china. The Kimbell Art Museum, based on the collection of European and British paintings that Fort Worth businessman Kay Kimbell had acquired during his lifetime, opened in 1972, and in 1978 the Stark Museum of Art, containing H. J. Lutcher Stark's vast assortment of American paintings and sculpture, rare books, letters, manuscripts, prints, American Indian artifacts, Steuben glass, and porcelains, opened its doors. The Sid Richardson Collection of Western Art opened in 1982, the Menil Collection in 1987, and the Michelson-Reves Museum of Art, devoted to the art of Leo Michelson, in Marshall in 1985. Other museums not named for individual donors have benefited from generous gifts. The El Paso Museum of Art received fifty-seven old master paintings and two sculptures from the Samuel H. Kress Foundation in 1961, and the Archer M. Huntington Art Gallery (now the Jack S. Blanton Museum of Art) and the Harry Ransom Humanities Research Center at the University of Texas at Austin have been given a large number of paintings, such as James and Mari Michener's collection of twentieth-century American art, C. R. Smith's collection of American western art, a group of Frank Reaugh's paintings, and many more. The Hogg Brothers' collection of paintings by Frederic Remington is a perennial attraction at the Museum of Fine Arts, Houston, as is the huge nineteenth-century scene by Frederic Edwin Church entitled The Icebergs, given anonymously to the Dallas Museum of Art. Nor have outstanding acquisitions by Texas museums been limited to gifts. The nation perhaps first became aware of Texas museums' serious commitment to quality in 1965 when the Fort Worth Art Museum acquired a major painting by Picasso during a nationally televised benefit auction. With its long list of distinguished purchases, the Kimbell Art Museum has become internationally recognized as a leader in the worldwide quest for masterpieces. The Museum of Fine Arts, Houston, won much publicity for its acquisition of a well-known Picasso, while the Amon Carter Museum continues to enlarge upon the holdings of its original donor in the field of nineteenth and early twentieth century American art with purchases of stunning works by American masters such as Thomas Cole and Thomas Eakins. Soviet Space Exhibition at the Fort Worth Museum of Science and History, 1991-92. Image available on the Internet and included in accordance with Title 17 U.S.C. Section 107. Meadows Museum with the "Wave" sculpture by Santiago Calatrava at Southern Methodist University. Courtesy of Southern Methodist University. Image available on the Internet and included in accordance with Title 17 U.S.C. Section 107. The Panhandle-Plains Historical Museum in Canyon, Texas. Image available on the Internet and included in accordance with Title 17 U.S.C. Section 107. Significant exhibitions have also brought Texas museums into the spotlight. The era of "blockbuster" exhibits in Texas dates at least from the 1973 Kimbell exhibition of the French impressionists from the Hermitage Museum in the Soviet Union. The Museum of Fine Arts, Houston, followed in 1974 with an exhibition of old masters from Russia, and the Dallas Museum of Art subsequently played host to "Pompeii A.D. 79." The history and natural science museums joined in the contest for the public eye with exhibitions such as the Russian space program at the Fort Worth Museum of Science and History, the history of horses in North America at the Witte Museum, and a large exhibition of Peruvian gold objects and artifacts at the Houston Museum of Natural Science. The recent exhibition of the French impressionist paintings from the Barnes Collection at the Kimbell drew more than one-half million visitors. A further development among the state's museums is that college and university museums have become increasingly important. The largest art museums are the Archer M. Huntington Art Gallery at the University of Texas at Austin, which houses a collection of Greek and Roman art, a large print collection, and a large collection of nineteenth and twentieth century American and Latin-American paintings and sculpture; the Meadows Museum at Southern Methodist University, which specializes in Spanish paintings acquired by Dallas businessman Algur H. Meadows; and the Museum of Texas Tech University, which houses the Diamond M Foundation collection of works by Peter Hurd, N. C. Wyeth, Andrew Wyeth, and other well-known Americans, assembled by Claire and Clarence T. McLaughlin (see DIAMOND M MUSEUM). History and natural history museums include the Panhandle-Plains Historical Museum at West Texas A&M University in Canyon; the Texas Memorial Museum at the University of Texas at Austin; the Strecker Museum at Baylor University; and the John E. Conner Museum at Texas A&M University at Kingsville, among others. Kimbell Art Museum's Asian Collection pictured in 2008. Courtesy of the Kimbell Art Museum. Image available on the Internet and included in accordance with Title 17 U.S.C. Section 107. Cullinan Hall exterior. Courtesy of the Museum of Fine Arts, Houston. Image available on the Internet and included in accordance with Title 17 U.S.C. Section 107. Aerial view of the Art Museum of South Texas in Corpus Christi. Courtesy of the Art Museum of South Texas. Image available on the Internet and included in accordance with Title 17 U.S.C. Section 107. The San Antonio Museum of Art is in the original Lone Star brewery building. Courtesy of the San Antonio Museum of Art. Image available on the Internet and included in accordance with Title 17 U.S.C. Section 107. Texas museums have also begun to research and organize some of their own shows. One of the most outstanding bicentennial exhibitions in the nation was organized by the Amon Carter Museum, which has a thirty-five-year record of producing its own exhibitions. The Face of Liberty included the famous Gilbert Stuart portraits of George and Martha Washington as well as portraits of Benjamin Franklin, Thomas Jefferson, and other well-known revolutionary figures. The exhibition of contemporary Hispanic-American paintings at the Museum of Fine Arts, Houston, brought young Hispanic artists to the public's attention, and the internationally known American artist, Frank Stella, reemerged in an exhibit at the Modern Art Museum of Fort Worth. The Kimbell Art Museum has won international critical acclaim with its series of exhibitions relating to European and Asian art. Museum trustees are also aware of the role of the museum itself as a work of art. The first bold stroke occurred in 1954, when the Houston Museum of Fine Arts commissioned Ludwig Mies van der Rohe, one of the great twentieth-century architects, to design its new wing. Cullinan Hall opened in 1954, and the master plan was finished with the addition of the Brown Pavilion in 1974. Philip Johnson, one of Mies's followers, designed the Amon Carter Museum (1961) and the Art Museum of South Texas (1972) in Corpus Christi, and Louis I. Kahn of Philadelphia designed the Kimbell Art Museum (1972), one of the great museums of the world. The Cambridge Seven, a Connecticut design group, won plaudits for its striking renovation of the old Lone Star brewery for the San Antonio Museum of Art, and the Dallas Museum of Art is now at home in its downtown quarters designed by Edward Larrabee Barnes, the architect of the very successful Walker Art Center in Minneapolis. More recently, Renzo Piano designed the Menil Collection in Houston. A view inside of the Great Hall and the murals at the Hall of State. Courtesy of Lee Ann Torrans photography. Image available on the Internet and included in accordance with Title 17 U.S.C. Section 107. The most numerous group of museums in the state is the history museums, which range from tiny collections of artifacts exhibited in an old log cabin to the massive Panhandle-Plains Historical Museum, the largest state-owned museum as well as the oldest, founded in 1929. Like the Panhandle-Plains Museum, the Dallas Historical Society, which is housed in the Hall of State building at Fair Park, was the beneficiary of the Work Projects Administration program whereby talented artists painted murals in state-owned buildings. Doorway to the Alamo, an 18th-century mission church in San Antonio, Texas. Courtesy of the Library of Congress. Image available on the Internet and included in accordance with Title 17 U.S.C. Section 107. The Texas Seaport Museum at the Tall Ship Elissa. Courtesy of the Galveston Historical Foundation. Image available on the Internet and included in accordance with Title 17 U.S.C. Section 107. Texas Energy Museum. Courtesy of the Texas Energy Museum. Image available on the Internet and included in accordance with Title 17 U.S.C. Section 107. A B-29 Airplane on display at the Commemorative Aif Force Museum in Midland, 2013. Courtesy of AP Photo/The Odessa American/Ryan Evon. Image available on the Internet and included in accordance with Title 17 U.S.C. Section 107. Photograph, Picture of Space Center Houston. Image available on the Internet and included in accordance with Title 17 U.S.C. Section 107. Two special cities are almost museums in themselves: San Antonio and Galveston. San Antonio has refurbished its downtown section and riverwalk (the Paseo del Rio) to the point that it is one of the most charming in the nation. Within easy walking distance of the winding San Antonio River are several museums unique either in themselves, such as the Alamo, the "shrine of Texas liberty," or in their approach to the history of the state, such as the University of Texas Institute of Texan Cultures, which is organized according to the ethnic groups that settled the state. Other museums that elaborate on San Antonio's heritage and the Hispanic contribution to Texas are located in the same area. Galveston, equally enticing and representative of a totally different era and culture, offers the museums and shops lining the Strand, the "Wall Street of the Gulf," that recall the glory days of Texas's major port before the devastation of the Galveston hurricane of 1900. 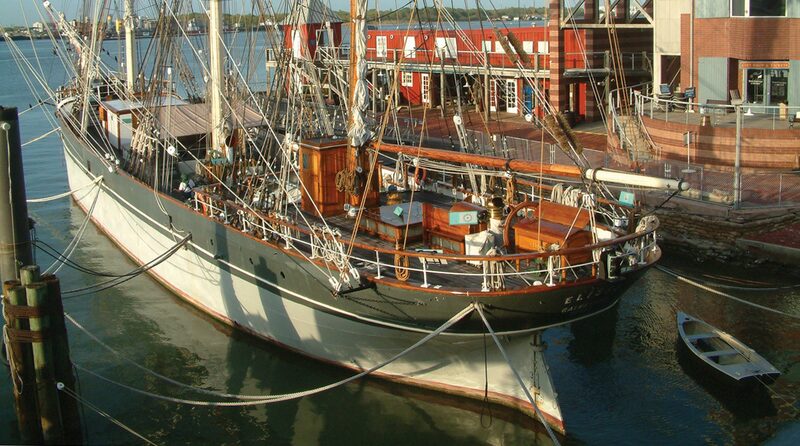 In addition to the Texas Maritime Museum, Galveston hosts the Galveston County Historical Museum, the tall ship Elissa, and a new and innovative Center for Transportation. Oil has also left its impression on the state's museums. At least three are devoted exclusively to telling the story of oil and energy development: the East Texas Oil Museum in Kilgore, the Permian Basin Petroleum Museum in Midland, and the Texas Energy Museum in Beaumont. Several of the state's large history and natural history museums, such as the Houston Museum of Natural Science and the Panhandle-Plains Historical Museum, also have exhibitions devoted to the history of oil and its technology. Transportation also claims its share of interest, with the Pate Museum of Transportation outside Fort Worth, the Panhandle-Plains Historical Museum (with a large display devoted to transportation, from the buggies and wagons of pioneer West Texas to the automobile), and perhaps the greatest homage to trains in the state, Galveston's Center for Transportation and Commerce. Two historic trains still run: Austin's Hill Country Flyer from Austin to Burnet and the Texas State Railroad from Rusk to Palestine. The most unusual museum in the state may well be the Confederate Air Force Flying Museum, a large collection of World War II airplanes that are all in working condition. Located at the Midland-Odessa airport, the Confederate Air Force puts its more than 100 vintage aircraft through their paces each October, with a few enemy planes thrown in to heighten the drama, but the Spitfires, Mustangs, and Flying Fortresses are on exhibit year round. 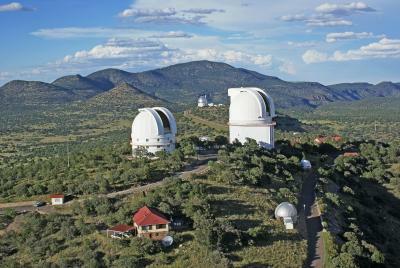 Aerial View of McDonald Observatory in the Davis Mountains. Courtesy of the McDonald Observatory. Image available on the Internet and included in accordance with Title 17 U.S.C. Section 107. Even in a state as historically rich as Texas, however, museums are not mired in the past. The Fort Worth Museum of Science and History, with its Omni Theater and laser shows, continually draws large audiences with this taste of the future as well as of the aesthetics of science and technology. Two other sites provide a look into ongoing research as well as a sense of the past: the National Aeronautics and Space Administration's museum at Clear Lake, outside Houston, and the University of Texas at Austin McDonald Observatory just outside Fort Davis. Tours and exhibitions are available at both facilities, even though they are both involved in the forefront of research in their respective fields. In addition to the great variety and quality of museums in the state, the number of museums has also increased significantly. In the 1950s there were several dozen important museums; in 1976 the number was estimated at more than 200. Only two years later the Texas Historical Commission published a directory of 410 museums, which the commission defined as "organized and permanent nonprofit institutions, essentially educational or aesthetic in purpose, which exhibit objects with intrinsic value to science, history, art, or culture, and which are open to the public." The commission estimated the number of museums in Texas at 660 in 1995. Pauline A. Pinckney, Painting in Texas: The Nineteenth Century (Austin: University of Texas Press, 1967). Paula and Ron Tyler, Texas Museums: A Guidebook (Austin: University of Texas Press, 1983). Handbook of Texas Online, Ron Tyler, "MUSEUMS," accessed April 25, 2019, http://www.tshaonline.org/handbook/online/articles/lbm03. Uploaded on June 15, 2010. Modified on June 15, 2017. Published by the Texas State Historical Association.